Great rooms, spa discounts, an award-winning restaurant - what more could you want? 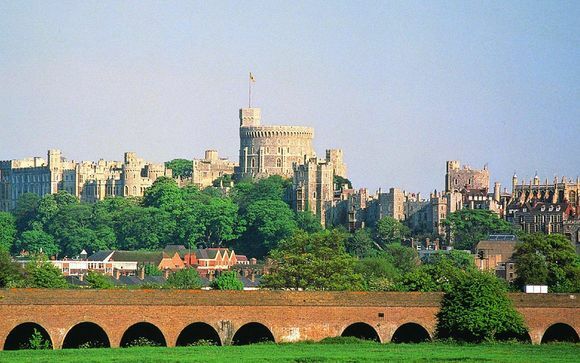 Windsor has a much to offer its visitors, with many attractions easily reachable from the Macdonald Berystede hotel. Visit Ascot Racecourse (1.6 miles) and see the home of the famous annual races, Legoland (6.3 miles) is a delight for all ages, and Thorpe Park (9 miles) is one of the country's most revered theme parks. For history, visit the imposing Windsor Castle (8 miles) and take a tour of this historic and impressive royal residence - be sure to see St George's Chapel - noted as a hidden gem of the castle! And for the sport-minded, stop off at Wentworth Golf Course (4 miles) for a round or two on the greens. 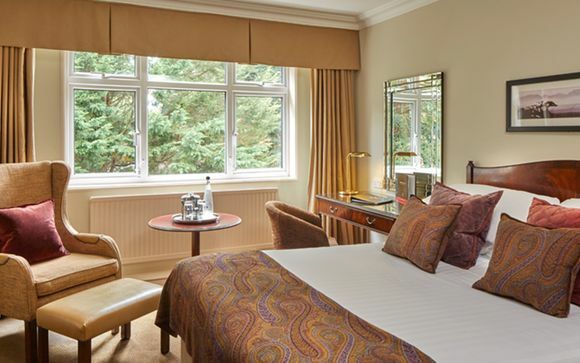 Macdonald Berystede Hotel & Spa located in Royal Ascot offers a delightful countryside retreat in one of England’s idylls. With a prime location in wonderful Windsor, you’re not only perfectly positioned to discover the surrounding sights and attractions, but the serene setting alone ensures you’ll feel relaxed and content. The hotel offers an array of services that are bound to please – for a start, the Hyperion Restaurant has been awarded an AA-Rosette, so you can be sure that a menu full of culinary treats is waiting to excite your tastebuds. The best ingredients, the skill of the chefs, the ambiance of the setting – all come tighter to create a superb dining experience. Then, there’s the thermal spa – a state-of-the-art wellness area with a host of facilities, including an 18-metre swimming pool, an outdoor hydropool (weather permitting), treatment rooms, a sauna and more. When you stay at Macdonald Berystede, you'll get an incredibly comfortable and peaceful night's sleep as well as lovely design and welcoming amenities in the inviting rooms, each with a unique sense of charm thanks to individual styling. The newly refurbished Hyperion Restaurant will appeal to those who appreciate a relaxed approach to award-winning dining. With stylish design and an AA Rosette, this is the place to eat in Ascot. Large windows overlook the Royal Enclosure Patio and fill the restaurant with natural light. Settle on one of the sumptuous seats and sip a Scotch Whisky or Signature wine from the cellar or in the summer months, make your way through to a soft leather sofa in the Wentworth Lounge and enjoy a balmy breeze from the Royal Enclosure Terrace. Just for you: £10 spa credit per booking. Retreat from everyday life at Macdonald Berystede Hotel in Berkshire with some of the most indulgent spa treatments in the south of England. 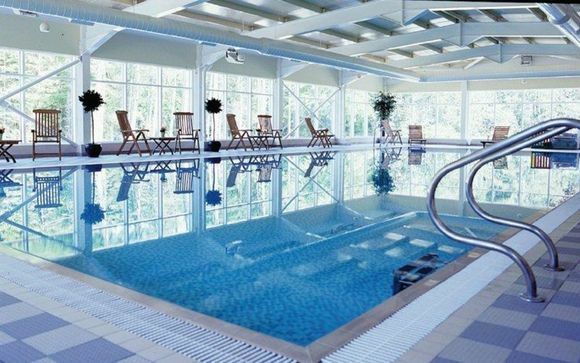 From a relaxing Facial to a full Spa Pamper Day, you'll be utterly transported at this leisure club and spa in Berkshire. Vital Spa and leisure club includes six treatment rooms, a thermal suite and technogym, as well as a breath-taking external hydrotherapy pool and indoor swimming pool with views over rolling Berkshire countryside. They also offer an exclusive range of spa treatments using Elemis and Jessica products - perfect for exclusive hen weekends, girly get-togethers or a really special romantic occasion.